For the first time, excavations at Beer Sheva have revealed a Jewish settlement from the Second Temple period. 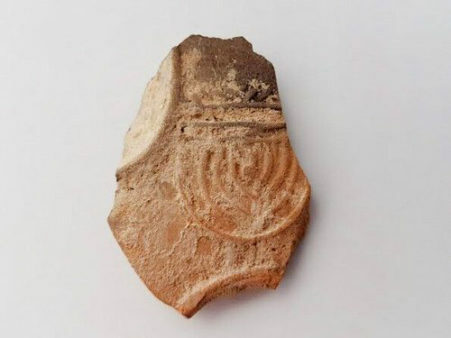 One of the particularly significant finds was an oil lamp fragment decorated with a nine-bracnch menorah — one of the earliest such depictions discovered as of yet. Amongst the ceramics at the site, archaeologists found a fragment of a Jewish “Southern Lamp.” There was great excitement when the sherd was cleaned and examined more closely, revealing a nine-branch menorah. Dr. Fabian and Dr. Varga say “This is probably one of the earliest artistic depictions of a nine-branched menorah yet discovered.” Of the few oil lamps discovered which depict menorahs, none of them have the traditional seven branches. This is because of a ruling in the Babylonian Talmud which stated that only the temple menorah itself could have seven branches. Because of this, lamps used in domestic settings commonly had between eight to eleven branches. 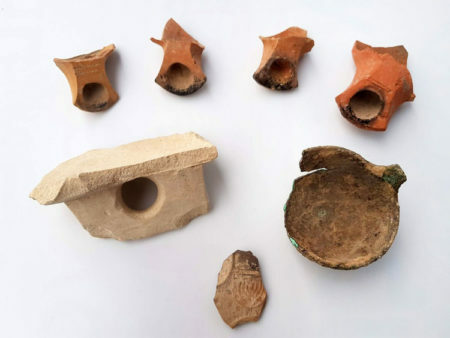 Various artifacts reflecting day-to-day life were found, including limestone vessels, which are signature to Jewish antiquity. According to Jewish tradition limestone, as opposed to ceramic material, would not absorb ritually impurity. Numerous coins from the period of Roman provincial rule were also recovered at the site, minted in various cities throughout the Roman Empire including Ashkelon. The settlement was constructed along the southern boarder of Judah alongside the road which connected Tel Beer Sheba to the coastal plain. This strategic location is most likely the reason for the 10 by 10 meter watchtower. The foundations of the tower were discovered during excavation, including the remains of a staircase leading to the tower’s upper stories, no longer preserved. In the late Roman Period the tower’s masonry was repurposed in constructing various nearby structures. In some of the buildings archaeologists identified evidence of a conflagration within the city. Most likely this is to be attributed to the First Jewish Revolt around 70 CE. 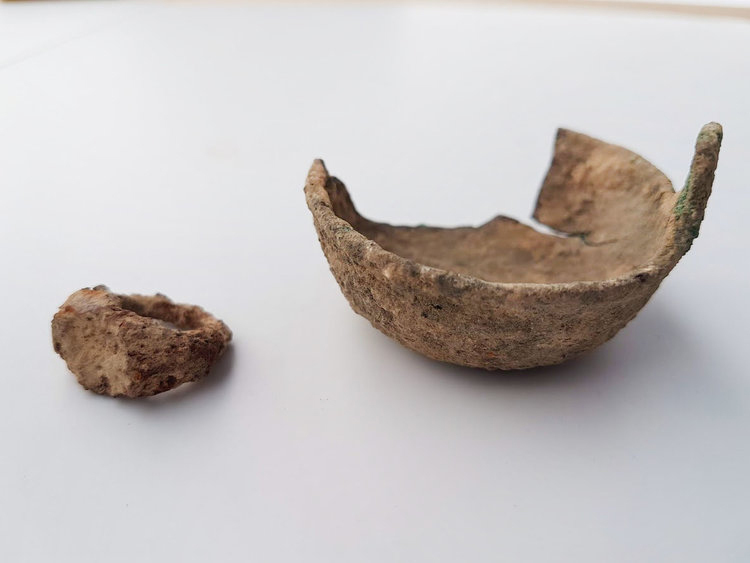 The Excavations were conducted by the Israel Antiquities Authority and Ben Gurion University in the Negev, underwritten by the ministry of Housing.